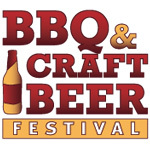 Our annual BBQ & Craft Beer Festival is back and now is a THREE DAY EVENT! Come celebrate the juiciest, most tender BBQ the Jersey Shore has to offer, served up by some of the Garden State’s best BBQ joints. Ribs, pulled pork, brisket and wash everything down with a great selection of brews in our Craft Beer Garden. $5 admission at the gate. Kids 12 and under are free. Sunday and Monday are Family Fun days with free kids activities.